If Tony Romo opts for retirement this offseason, the Cowboys will not attempt to recoup the $5MM in signing bonus money to which they’d be entitled, reports Clarence Hill of the Star-Telegram. Romo was paid a $25MM signing bonus when he agreed to an extension in 2013, and although that total has already been paid out, $5MM remains on the 2017 salary cap. Signing bonuses are spread out over five seasons for accounting purposes, and the contractual bargaining agreement would allow Dallas to go after that money if Romo decides to hang up his cleats. Thus far, the 36-year-old Romo has given no indication that he’s ready to retire. In fact, reports have indicated that Romo is set on playing in 2017 despite interest from both CBS and FOX, both of whom are intrigued by Romo’s future in television. But as potential landing spots dwindle — the Broncos, at least publicly, are content to roll with their internal quarterback options — Romo may now believe the Texans or retirement are his only remaining options. The Cowboys will also not target the signing bonus cash remaining on offensive tackle Doug Free‘s contract, per Hill. Free announced his intent to retire earlier this month. Right tackle Doug Free has informed the Cowboys he plans to retire, according to Todd Archer of ESPN.com. Chatter had arisen in recent weeks regarding Free’s status, and although multiple reports denied Free would hang up his cleats, the veteran lineman ultimately decided to call it a career. For Dallas, the loss of Free is a blow to its league-best offensive line, a group that had already seen the defection of top backup Ronald Leary earlier this week. While Free was probably the link weak link along the Cowboys’ front five, he was still a starting-caliber player (No. 40 offensive tackle in 2016 per Pro Football Focus), and the club will now have to assess its options as it seeks to replace him. Internally, the Cowboys’ top option is Chaz Green, a 2015 third-round pick who played 151 snaps last season. If Dallas isn’t ready to hand over right tackle to Green, it could venture into the free agent market, where options such as Austin Pasztor, Sebastian Vollmer, and Andre Smith still reside. Adding a tackle through the 2017 draft is another possibility, with Wisconsin’s Ryan Ramczyk, Alabama’s Cam Robinson, and Utah’s Garett Bolles in the mix as first-round picks. Alternatively, the Cowboys could consider moving incumbent left guard La’el Collins to right tackle and bringing in another guard. Collins played left tackle in college so he could probably handle the right side, and his versatility will likely play a role in Dallas’ decision. The Cowboys knew Free was retiring before the beginning of free agency, tweets Archer, so the decision not push harder for a Leary return was unrelated. Originally a left tackle, Free shifted to the right side after Dallas drafted Tyron Smith in 2011. The Northern Illinois alum had undergone foot surgery in each of the past two offseasons. The Cowboys will pick up $5MM in cap space thanks to Free’s retirement, and while they could conceivably recoup $2.5MM in signing bonus money, the club probably won’t ask Free to give that total back. The Redskins could attempt to acquire Cowboys quarterback Tony Romo in a trade also involving the 49ers, but it’s not going to happen on Jerry Jones‘ watch, tweets Clarence Hill Jr. of the Fort Worth Star-Telegram. Of course, it’ll be interesting to see if that will be Jones’ stance if the Redskins make the only trade offer for Romo, who’s a prime release candidate. The Jets might move on from wide receiver Eric Decker, though they won’t make a decision on his future until he has recovered from hip and shoulder surgeries, general manager Mike Maccagnan announced Friday (via Rich Cimini of ESPN.com). “Our goal is to get him healthy and then kind of evaluate how he comes off the injuries,” said Maccagnan, who believes Decker will be ready to return by Week 1 of next season. The soon-to-be 30-year-old appeared in only three games last season, and cutting him would save the Jets $5.75MM against $3MM in dead money for 2017. The Jets cut their other top wideout, Brandon Marshall, on Thursday, but not before offering him an extension. That offer came “about a month ago,” a source told Josina Anderson of ESPN.com (on Twitter). Marshall wasn’t up for continuing on a rebuilding team, though, so he turned down the extension and requested his release. Despite some other chatter this week, Hill tweets that Cowboys offensive tackle Doug Free is not retiring. 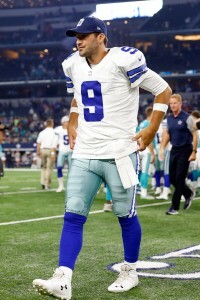 Head coach Jason Garrett said Wednesday he has not heard any word of the 33-year-old Free walking away. The Giants have promoted Rob Leonard to assistant defensive line coach, per the Associated Press. Leonard will take over for Jeff Zgonina, who joined the 49ers’ staff. Big Blue has also hired Bobby Blick to fill Leonard’s previous job, defensive assistant. Despite a report claiming that right tackle Doug Free is mulling retirement, Cowboys coach Jason Garrett says he has heard no such talk (Twitter link via Jon Machota of the Dallas Morning News). The 33-year-old Free just finished his 10th season and sixth with 16 starts. He’s entering a contract year and due a base salary of $5MM in 2017. Cowboys tight ends coach Mike Pope is retiring after three years on Garrett’s staff, reports Brandon George of the Dallas Morning News. The Cowboys will replace the 75-year-old Pope with senior offensive assistant Steve Loney. Pope coached in the league for 34 years, during which he won four Super Bowls with the Giants. The Cowboys have converted $2MM of tackle Doug Free‘s base salary into a bonus, according to Field Yates of ESPN.com (via Twitter). The move creates $1MM in cap space for this season. Free, 32, was slated to hit the open market prior to the 2015 season but Dallas instead kept him with a three-year deal. That deal, which should keep him in place through the 2017 season, holds a total value of $15MM. All in all, Free has made a good chunk of money throughout his career. His previous deal was a four-year, $32MM deal with $17MM guaranteed. From 2009-2013, Free did not miss a single regular season game. In 2014, he missed five games thanks to a foot injury. Last year, he got back to his old ways and started in every regular season contest. So far this year, his ironman streak is in tact. Through six games this year, Free is rated as the 50th best tackle in the NFL out of 78 qualified players, according to Pro Football Focus. Free has a 70.7 score for run blocking but his 50.0 rating for pass blocking leaves much to be desired. In total, he has a 66.0 overall grade for his 411 snaps (212 pass blocking, 199 run blocking). Free is due to carry a $6.5MM cap number in 2017, the final year of his current deal. If the Cowboys were to cut him before June 1st, they could be on the hook for $1.5MM in dead money while saving $5MM. 11:05am: Archer has more details on the contract. The three-year deal is worth $15MM, with $6MM in guaranteed money. The offensive lineman’s last big contract came in 2011, when he inked a four-year pact with Dallas worth $32MM ($17MM guaranteed). 10:10am: The deal is done, as Todd Archer of ESPN.com tweets that the two sides have agreed to a three-year contract. Financial terms of the deal have not been released. 12:07am: The Cowboys and Doug Free are closing in on an agreement on a multiyear contract that will keep Doug Free off the free agent market, according to Ian Rapoport of NFL.com (via Twitter). Matt Mosley of ESPN 103.3 in Dallas was the first to report (via Twitter) that the Cowboys were getting close to bringing back their right tackle. By re-signing Free, the Cowboys will hold together an offensive line widely regarded as the league’s best. Free, who will return to right tackle, and left guard Ronald Leary were the only Dallas linemen not named to the Pro Bowl this past year — left tackle Tyron Smith, center Travis Frederick, and right guard Zack Martin all earned spots on the Pro Bowl roster, with Smith and Martin landing on the NFL’s All-Pro First Team. Free, 31, missed some time due to an ankle injury in 2014, snapping a streak of consecutive games played that had dated back to the 2009 season. 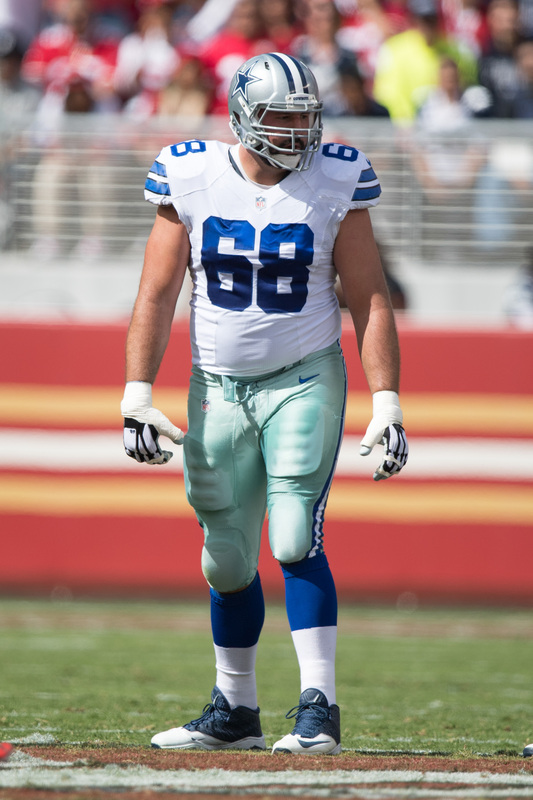 The veteran has manned the right tackle spot in Dallas since 2012, when Smith first made the switch to the left side. This past season, he ranked 21st out of 84 qualified tackles, according to Pro Football Focus’ grades (subscription required), performing particularly well as a run blocker for DeMarco Murray. With Free close to being locked up, the Cowboys may be less inclined to bring back free agent tackle Jermey Parnell, who may be seeking a starting opportunity elsewhere anyway. Parnell has played well when he’s had a chance to see the field in recent years, but wouldn’t see much action in Dallas as long as the team’s current five starters remain in the picture. Rams owner Stan Kroenke is intent on moving his club to Los Angeles, but the city of St. Louis is just as keen on retaining the Rams. St. Louis’ stadium task force has been impressive its quest to build and fund a new stadium, and if they’re successful, the NFL could be faced with a public relations nightmare, with Kroenke leaving for a major market in LA even though St. Louis rose to the challenge presented by the league. Presenting an alternate theory, Bernie Miklasz of the St. Louis Post-Dispatch offers two scenarios that would seemingly please both entities involved. In one, Kroenke could purchase the Rams from Mark Davis and move the team to LA, leaving the Rams in St. Louis. In the second (and more likely, per Mike Florio of Pro Football Talk) scenario, Kroenke and the Rams would move to Los Angeles, but Davis and the Raiders would move to St. Louis and a new stadium. As Florio writes, Miklasz’s “theory” sounds like a detailed account, as though he might have heard it from an off-the-record source but isn’t allowed to actually “report” the news, so it will be interesting to see if any more comes of this. Cowboys tackle Doug Free‘s 2015 and 2016 contract years voided today, according to Joel Corry of CBSSports.com (Twitter link). Dallas will carry $3.98MM in dead money on its books in 2015 as a result. The 31-year-old Free, meanwhile, should be one of the top free agent tackles on the market, and reports have indicated that the Cowboy will only sign one of him or Jermey Parnell. Longtime Jaguars defensive end Paul Spicer is interviewing for the Buccaneers assistant D-line coaching job, tweets Alex Marvez of FOX Sports. As Marvez notes, Spicer played under current Tampa defensive line coach Joe Cullen while the two were in Jacksonville. Even though the domestic violence charges against Greg Hardy were dismissed, the league will take a hardline stance on the Panthers defensive end, writes Joseph Person of the Charlotte Observer. The NFL has asked to unseal the court documents from Hardy’s case and could look to suspend him for up to six games. If the league does so, the NFLPA will surely file a grievance, adds Person. The Lions are likely to lose either Ndamukong Suh or Nick Fairley to the open market, and backups C.J. Mosley and Andre Fluellen are pending free agents, as well. But defensive end Darryl Tapp (also a FA-to-be) is confident that Detriots’s management will bring back a defensive line full of contributors. “I have no reason to think it wouldn’t be the same situation going into next year as far the guys they would bring in who would buy completely into the system and do things the right way,” Tapp told Carlos Monarrez of the Detroit Free Press. The Patriots will have a big decision to make regarding the future of star cornerback Darrelle Revis this offseason, and Tom Curran and Mike Giardi of CSNNewEngland.com discuss in a video piece what that decision will entail. Although Revis has stated that he does not need to be the highest paid cornerback in the league to be happy, Curran and Giardi note that Revis is a shrewd businessman and that it will take a fair (read: highly-lucrative) offer to get a deal done. In the same piece, Curran and Giardi examine how the Patriots might negotiate with injured linebacker Jerod Mayo. They note that New England may approach Mayo with an incentive-laden offer based upon health, which was the team’s strategy when negotiating with Vince Wilfork. Mike Reiss of ESPNBoston.com writes that losing Aaron Dobson for the season serves as yet another reminder of how difficult it has been for the Patriots to draft and develop quality receiving talent under Bill Belichick (though Belichick has usually done more than enough to compensate for that deficiency in other ways). In a piece that will probably surprise no one, ESPN’s Adam Schefter writes that Jets GM John Idzik has alienated members of his coaching staff and front office, further fueling the belief that the team’s administration will undergo a complete overhaul in the offseason. Jason Cole of Bleacher Report notes (via Twitter) that if Washington fires first-year head coach Jay Gruden after the 2014 season (as PFR’s Rob DiRe discussed last night), the team should pursue current Baylor University head coach Art Briles, whose offense would mesh well with Robert Griffin III‘s skillset. Albert Breer of the NFL Network, however, tweets that it would be a “shocker” if Briles were to leave Texas. Todd Archer of ESPNDallas.com describes how the Cowboys might go about manipulating their salary cap in order to create enough room to retain Dez Bryant, DeMarco Murray, and Rolando McClain, but he notes that the player Dallas should really focus on is right tackle Doug Free.